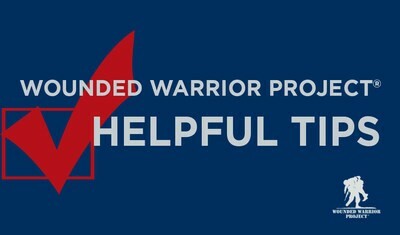 Wounded Warrior Project® works individually with warriors to understand their unique needs, provide education on the claims process, advise them of benefit options, file benefit claims, and help obtain necessary evidence. With long-term financial and health support playing a critical, empowering role in the recovery process, Wounded Warrior Project® (WWP) created the Benefits Service program, helping injured veterans navigate the complexities of the departments of Defense and Veterans Affairs (VA). With the support of generous donors, WWP files thousands of claims each year, immediately changing lives of injured veterans, their families, and caregivers. As a VA-accredited organization with an approval rating above 90 percent for benefits claims filed in fiscal year 2016, WWP works individually with warriors to understand their unique needs, provide education on the claims process, advise them of benefit options, file benefit claims, and help obtain necessary evidence. Know your advocates. National veterans service organizations (VSOs) have skilled advocates that specialize in filing claims to the VA. This information is available during transition assistance programs when exiting active duty as well as any local VA facility. Know which disabilities you can claim. Medical symptoms do not justify a claim. You must have a chronic diagnosed disability to file benefits claims. VSO advocates can help identify what qualifies. Obtain evidence such as service treatment records. Whether you are filing for the first time or for a worsening condition, get the necessary evidence or diagnosis from a VA physician or private provider before submitting a claim. Submitting completed VA Disability Benefits Questionnaires is highly recommended. Attend all VA examinations in a timely manner, and obtain information the VA asks you to submit. Work with your advocate to ensure these items are secured and submitted. Compensation and pension examinations may not always be convenient, but these appointments are vital to substantiating benefits claims. Be vested in your claim. Positive outcomes are directly equivalent to the 50-50 investment between you and your advocate. To learn and see more, visit http://newsroom.woundedwarriorproject.org/.